Gaelic Players Association backed players’ decision not to fulfill the fixtures. THE GAELIC PLAYERS Association (GPA) has come out in support of a number of inter-county squads who planned not to fulfill rescheduled fixtures that were set for Bank Holiday Monday following the bad weather. Several National League games in both codes were called off on Sunday due to snow and were re-fixed to take place 24 hours later, although some of those ties have since been postponed once again. Four Allianz National League fixtures were called off this morning after failing early morning pitch inspections, while two of today’s rescheduled hurling league quarter-finals were postponed on Sunday evening due to unplayable pitches. Three games are still set to go ahead, including two Division 1 hurling quarter-finals between Offaly and Kilkenny, and Limerick and Clare. The refixture plan has not been well received by some of the affected teams according to the GPA, while some players have taken to social media to vent their frustration. In a statement issued late last night before the second wave of postponements, the GPA said they have been contacted by teams who are ‘extremely unhappy with the arrangements’, and claimed that the revised fixture plan does not consider the needs of players who may be working today. It also criticises the apparent lack of consultation with players before these decisions were made. 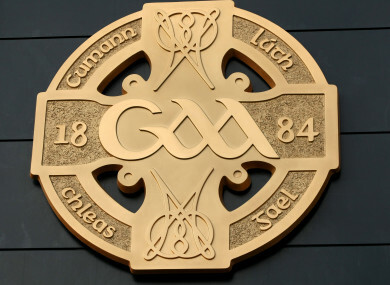 The full statement reads: “Following the GAA’s decision to re-schedule a number of the National League games by 24 hours to tomorrow, Bank Holiday Monday, the GPA have been contacted by a number of affected squads extremely unhappy with the arrangements. “Notwithstanding the recent inclement weather conditions creating considerable challenges for the CCCC with regard to rescheduling of games, the GPA consider it wholly unacceptable that no consultation was made with players beforehand. “It would appear that little or no consideration was given to players who have contractual obligations to their employers to fulfill. Furthermore, many of our players have personal or family arrangements for tomorrow which must now be changed at short notice. The GPA will be supporting a number of squads who have outlined their commitment not to fulfill their fixtures tomorrow due to players’ unavailability. We have this evening contacted the GAA outlining our support for these squads and requesting that the CCCC find an alternative arrangement for these games. “In 2017, over 70% of inter county football squads voted against the revised fixture schedule which was subsequently passed at GAA Congress. Email “'A number of squads' threatened to pull out of today's rescheduled GAA matches”. Feedback on “'A number of squads' threatened to pull out of today's rescheduled GAA matches”.